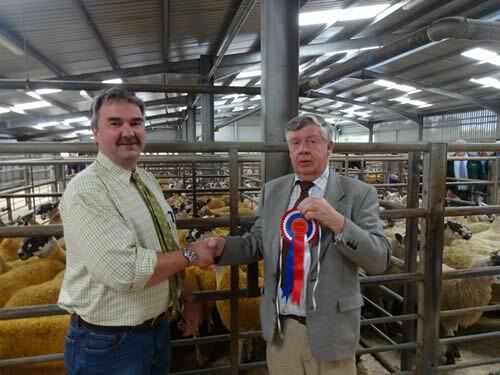 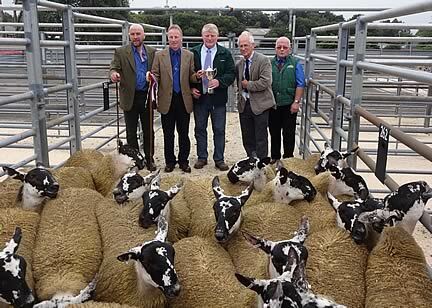 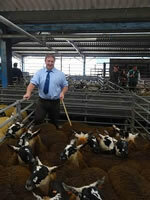 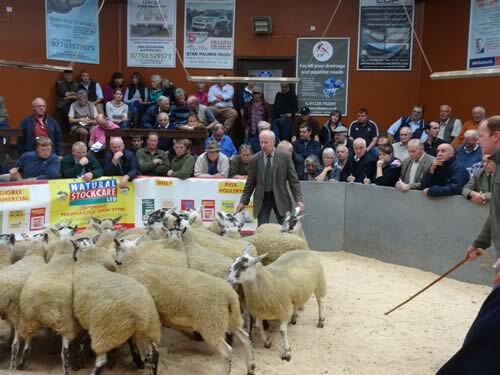 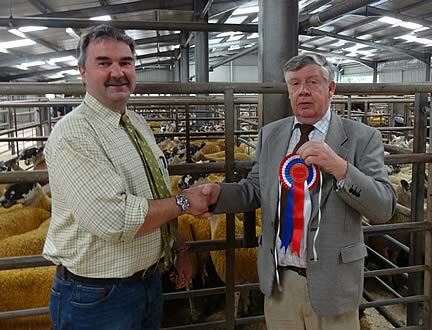 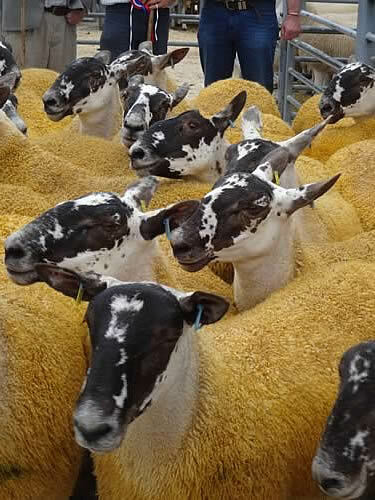 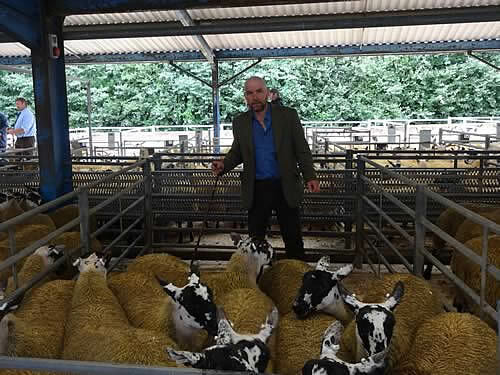 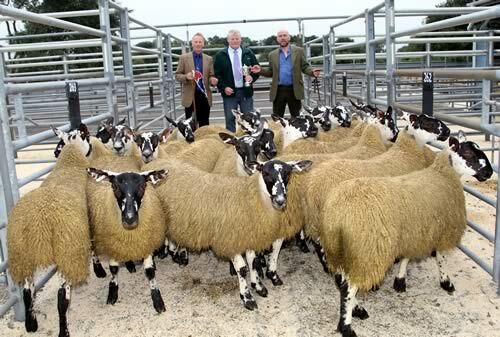 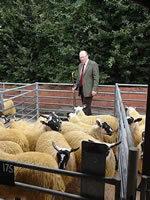 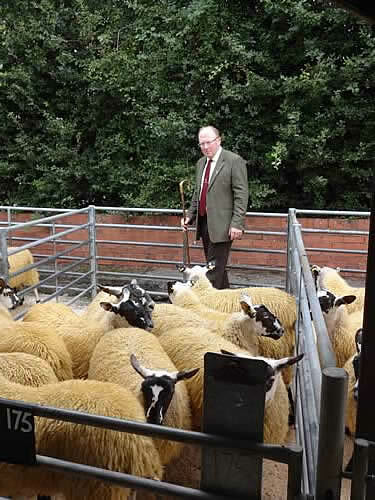 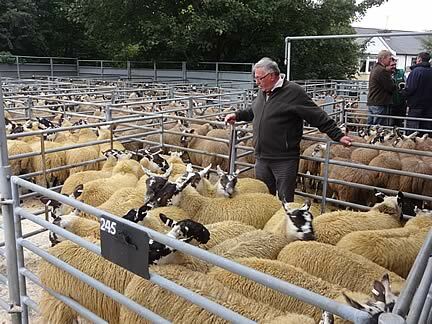 The Cumberland & Dumfriesshire Farmers Mart held their Annual Sale of Breeding Gimmers and Ewe Lambs at Dumfries on Friday 30th August 2013 when an entry of 6015 was forward. 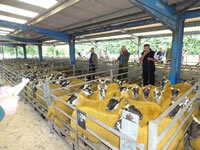 A Full ringside of buyers from throughout the country were present. 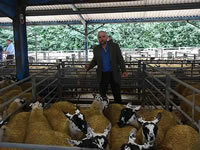 Trade for first quality sheep was brisk whilst secondary sorts met a more selective trade. 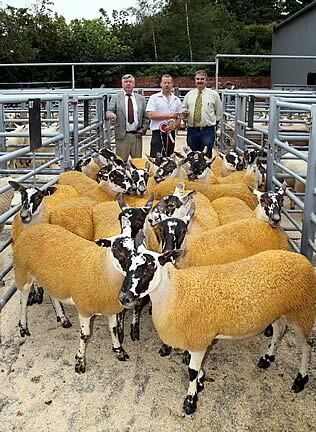 Gimmers and Ewe Lambs generally lacked size and bloom. 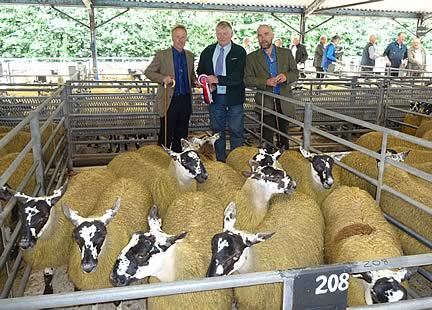 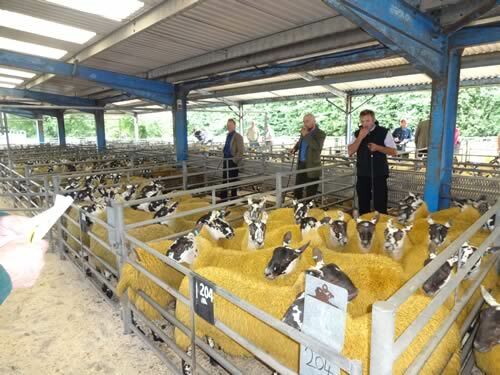 157 North of England Mule Gimmers averaged £138 and to £148 Rigghead, £142 Tinwald Shaws, £138 Belridding. 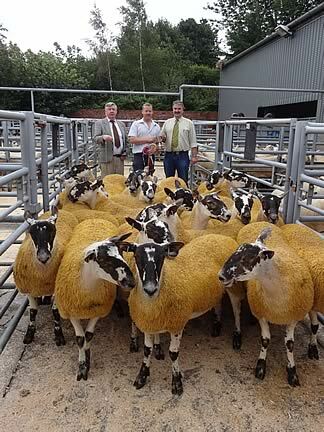 259 Texel Gimmers averaging £125.91 ( - £10.16 on 2012) to £192 Mitchellslacks, £148 Drumcruilton, £142, £138 Knocknaib, £138 Wardhead. 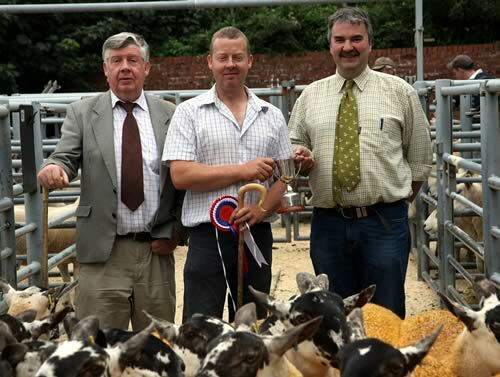 Prior to the Sale the Gladstone Scott Memorial Trophy was awarded to RJ Fry, Porterstown which sold to the Judge John Jardine, Fairgirth at £200. Sponsored by Process Plant & Machinery Lockerbie. 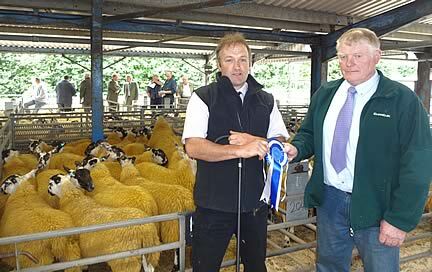 2585 Scotch Mule Ewe Lambs forward at The Nithsdale Show and Sale, Kindly sponsored by Natural Stock Care Ltd. 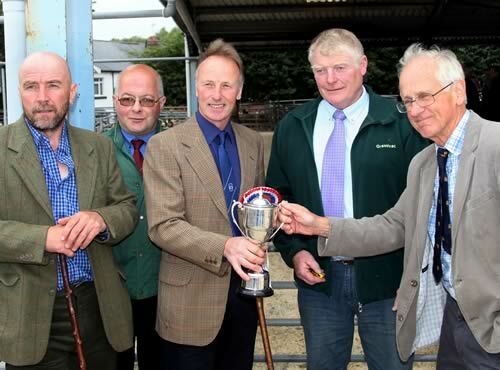 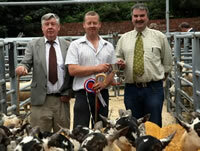 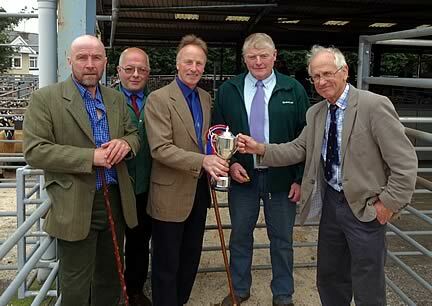 The Judge Tony Pickard, Whitcott, Devon awarded the Nithsdale Trophy to Messrs K Park & Sons, Dalpeddar, Sanquhar who had forward an outstanding pen of lambs which realised £140 per Head to Messrs Fry, Porterstown, Keir. 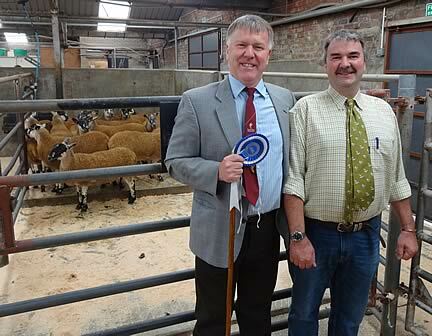 The Reserve Champions were shown by Messrs T & T Anderson, Guelt, Cumnock and made £116 also to Messrs Fry.